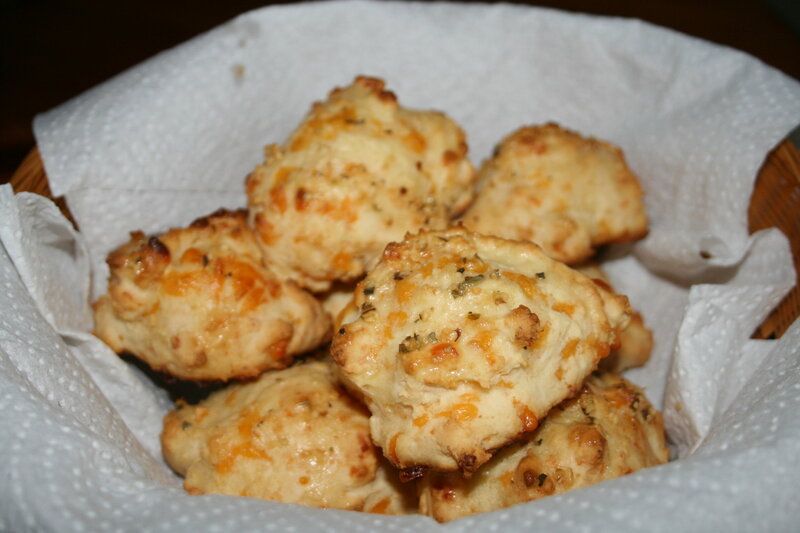 Everyone knows that the best part of going to Red Lobster is their famous Cheddar Bay Biscuits. The soft and cheesy goodness sends you into a food coma before you even receive your entree. Pinterest and Foodgawker are full of imitation recipes for the little-biscuits-that-could and yesterday I finally decided to give them a go thanks to the adorably named Gimme Some Oven. They were delicious, but I made an accidental adjustment to the recipe that left them not as accurate to the real deal than I had hoped. They were still delicious, and I can’t wait to bake them again so that I can see what they taste like without my faux paus. 2. Mix together biscuit mix, cheese, garlic powder, and milk. 3. Spoon dough into balls onto greased cookie sheet. Don’t give into temptation and use your hands because the dough is an incredibly sticky mess to get off! 4. Bake for 13 minutes. 5. Mix garlic salt, butter, and oregano in small bowl. As soon as the biscuits come out of the oven, brush the butter mixture onto them. Be careful not to leave the mix sitting too long by itself or it will harden!